Basically, the situation on the markets depends on what economic news get stock traders from certain countries, companies and enterprises. It is highly important to understand them, as this will depend on changes in the share price of companies, their value, and you can get a very good profit for any trader through the difference in value, even if trader is a newcomer. For example, for the Forex exchange market economic news affect the movement of currencies of different countries and forex broker can get a significant return on their differences. When trading on the stock exchange traders always consider economic information from the statistics authority, issued bulletins from the company relating to profit and liquidity. 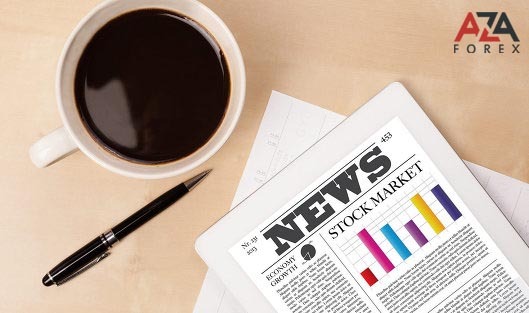 Exploring news, trader has the opportunity to choose what kind of a deal at the moment can make a maximum profit for the own company. A huge influence on the exchange trading provides statistics on unemployment and living standards of citizens. If these indicators are optimal, then stock prices will fully reflect them, the same thing will happen if the above figures are at risk for the economy. They have a great influence on the stock prices calibration. Another very important factor that affect the work of brokers and traders on the stock exchange is GDP data. It helps traders to assess the economic situation in the country and predict on this basis which of the sectors of the economy will be the most profitable. Knowing GDP trader can predict how country’s economy will develop and decide whether to invest money in it, or wait for a more favorable trend in order not to incur losses. Significant influence on the actions of stock traders have news with data on the quotations of prices for energy resources. According to the knowledge of a future price for them, traders working in the commodity companies can increase revenues by several times, or derail the profitability of their companies to the red area for a few days. Also on the work of traders can influence such news as the number of corporate debt companies. If the debt exceeds limits and the company can’t restructure it, traders try as quickly as possible to get rid of the shares of such companies, and in fact even more collapses its capitalization. This process can cover a lot of companies and lead to the collapse of entire segments of the economy. At the same time, some traders can earn buying sharply depreciating stocks of such companies with the hope of future profitably and sell them when the crisis has passed. In any case, this is a risk, since it is unknown how the whole economy will behave. Many professional traders use in their work economic news about the retail sales of retail companies. They allow traders to clearly define what the status of the state’s economy is now, and will provide an opportunity to determine to what extent will go foreign exchange fluctuations and the company's shares. One of the most important economic news that have an impact on the stock market trading are reported consumer prices and their dynamics in various market segments. Knowing news on consumer prices, the trader can always tell whether the government will be able to improve their economic situation, or what will be the currency rate of this country. On this basis trader will build a howl action strategy on the market. We can say that the economic news directly influence the actions of any trader on the Forex market. Based on the news, traders can enter the next level of their sales and increase profit of the company. If trader will read economic reports inattentively, he risks to lose a significant share of their capital or even go bankrupt. Therefore, always pay attention to the forex broker AzaForex and news release time to be a successful stock trader.